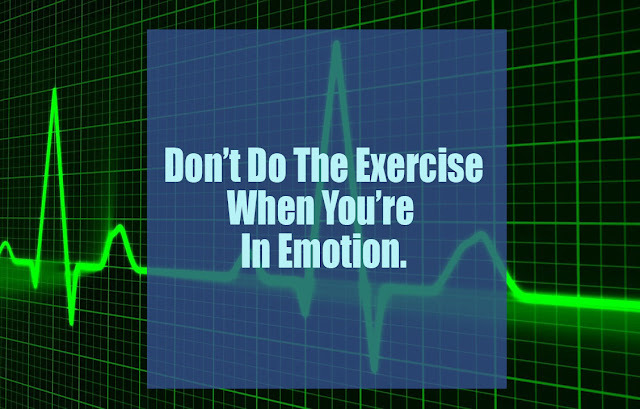 Home / Health tips / Don't Do The Exercise When You're In Emotion. Don't Do The Exercise When You're In Emotion. For some people, exercise is one way to express a variety of resentments and emotions. The hope is that by emitting emotions, they will have more energy to do sports activities better. Unfortunately, for health experts, do the exercise within emotions is not recommended because it is dangerous for heart health. How can this happen? A study conducted by Andrew Smyth and his team from The Population Health Research Institute, McMaster University, Canada, states that if we exercise by emitting an emotion within an hour, then we have increased the risk of heart attack by doubling. And if we do the exercise with more highly intense, this risk would be increase up to 3 times. Smyth said if with emotion, blood pressure and heart rate would increase sharply. In fact, doing normal exercise has significantly increased blood pressure and heart rate. As a result, blood flow in the vessels will change and blood supply to the heart decreases dramatically. If the blood vessels already have plaque, then this will be a big problem because eventually it can trigger a very deadly heart attack. The study, published in the Circulation journal of the American Heart Association, was conducted involving data from 12,461 patients with an average age of 58 years from 52 countries. After being studied, it was found that 1,650 people like to exercise and 1,752 people often do sports when they are angry. After careful consideration by considering factors like smoking, hypertension, obesity, up to age, it is known that sports with high levels of emotion are not recommended. If indeed we were still in an emotional state, Smyth advised, to relieve the emotions before doing the exercise. It's just that, if you already have a schedule of physical activity but are still in a state of anger, it's better to refrain from exercising heavily or exceeding normal limits to prevent the appearance of a heart attack. Also, read How getting fit at 50 male.